As my brother and I endeavored to bring this early 20th-century Craftsman-style bungalow back to its historic charm, we remained mindful to include sustainable products, that while invisible to the eye, are essential to the high-quality feel of the home. With that in mind, we selected Rockwool stone wool for our insulation requirements. Rockwool’s offerings include their thermal product — ComfortBatt, which may be used for floors, walls and attics and their Safe’n’Sound for optimal sound absorption at interior walls and ceilings. I love Rockwool’s insulation because the per inch R-Value (insulative value) is greater than every other brand that I have ever used. It is easy breezy to cut (all you need is a serrated knife) and it installs by simply pushing it in place – no stapling required with other brands. Rockwools stone wool insulation has higher thermal and moisture resistance, along with greater density than traditional fiberglass. 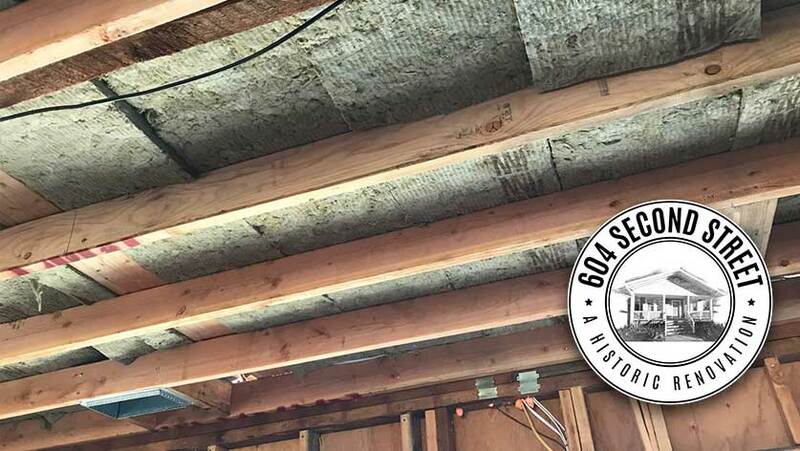 The energy-efficient insulation, manufactured with up to 40 percent recycled material, is ideal for walls and ceilings with non-standard dimensions, often found in older buildings like this one. “Because our house is on a relatively busy corner, we were looking for as much sound absorption as possible.